Thanks to reader JB for Brian Costa’s Wall Street Journal look at Augusta National’s real estate purchases, with the Journal estimating $200 million spent. From the story, with some really nice graphics and an overhead aerial of 2002 vs. 2018 worth playing with too. In the areas immediately surrounding golf’s most exclusive club, there are generally only two types of properties: the ones Augusta National has acquired—and the ones it will acquire. In the last 20 years, the club has spent around $200 million to buy more than 100 pieces of land totaling no fewer than 270 acres, according to a Wall Street Journal analysis of property and tax assessor records and interviews with people familiar with the transactions. To further insulate one of the most hallowed grounds in American sports from the outside world, Augusta National has bought and demolished entire residential blocks and commercial strips. It has purchased properties more than a mile from its iconic clubhouse. And it is hardly slowing down. The Augusta Chronicle’s Susan McCord looks at the announcement Wednesday by Chairman Fred Ridley explaining what some of these purchases mean: a new television compound across the street. How About A Little Drive, Chip And Putt During Masters Practice Rounds? The PGA of America brought back the old long drive contest at the PGA Championship and it’s been a nice practice round addition. After another successful Drive, Chip and Putt at Augusta National, I sense the format has not picked up enough steam outside of this event. Why aren’t more junior tournaments kicking off with a fun DCP, or club invitationals or…Masters practice rounds? I present a short case for Golfweek and suggest that many in the Masters field could not pull off what two national finalists accomplished in 2019: making both putts on the 18th green. Amazing. These kids today. Golfweek’s Beth Ann Nichols sets up the 54-hole Augusta National Women’s Amateur and after reading the player’s excitement , with all 72 getting to play Augusta National Friday, the format is aging well (as opposed to all getting to play prior to the two rounds at Champions Retreat followed by the final round Saturday). But before Augusta, there’s Champions Retreat, a 27-hole facility with nines designed by Jack Nicklaus, Gary Player and Arnold Palmer. Rain pushed back Tuesday’s low-key practice round at Champions Retreat, where players pulled out long irons and hybirds a bit more than expected. The signage, food (including prices), merchandise and pairings sheet look the same as what you’d find at the Masters. The logo is different, of course, and the scoreboards are electronic, but there are enough similarities here to make it feel like we’re in a neighboring zip code. Out in the west where the ANA Inspiration starts Thursday, three of the top five players in the Women’s World Amateur Rankings accepted invites while four of the top 11 are there instead of Augusta. But LPGA Tour Commish Mike Whan is sounding (finally) more positive about the week and attention given to women’s golf, reports Randall Mell in this look at the co-existing events. And first of many plugs: I’ve worked with Golf Channel’s Dominic Dastoli on a feature that will air during ANWA Live From coverage that looks at Bobby Jones and the role several all-time great female amateurs played in his life. The official tournament website where you can read coverage and see scores. Ryan Lavner profiles U. Of Arizona’s Haley Moore, one of the top players and most recognizable in the field given her NCAA and ANA Inspiration play in recent years. Maria Fasi is filing a daily diary and offered a lot of insight into how the players are being treated. As usual, there are rules, but also spectacular attention to detail. Tonight we’re going to the Chairman’s Dinner at the clubhouse. I’m never been to Augusta National before, so it’s going to be super exciting just to drive down Magnolia Lane and be at such a historic place. I’m especially looking forward to the shopping experience they have planned in the pro shop. We get to pick two shirts, a pullover and a hat from our tournament. Then we can just buy whatever we want. They are bringing everything that we buy to our room and leaving it there for us. Every little detail has been taken of. If video is your thing, here is Golf Central’s setup, followed by Matt Adams and I discussing what we’re most interested in seeing. Hint: we both picked the golf course and how these women tackle Augusta National. A stellar group shot from the first Chairman’s dinner on what looked like a beautiful evening in Augusta. ANWA Theme Music Debuts, The Players Can Only Ponder What Might Have Been? While it’s not Dave Loggins piano ballad—what is—the ANWA theme appears to have a hook and as soon as it appears in a place of purchase, I’ll be adding it to my Masters playlist for the drive to Augusta. 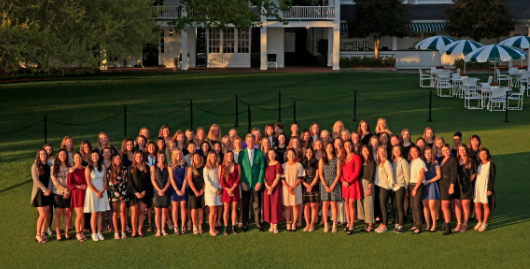 Not that many will feel good about losing the marquee player in next week’s first-ever Augusta National Women’s Amateur, especially to an unspecified injury (mild thumb sprain according to Golf Channel’s Steve Burkowski). But Lucy Li was coming to the inaugural event with tainted amateur status. The USGA ruled that she had violated amateur status rules but allowed her to retain her standing. Li’s withdrawal, announced just days before the first round, does take away a marquee player but also allows the event to focus on the amateur standing of those in attendance. Beth Ann Nichols reports for Golfweek on the two additions to the field in place of Li and Alex Melton. Nancy Lopez, Annika Sorenstam, Lorena Ochoa and Se Ri Pak will serve as honorary starters at the 2019 Augusta National Women’s Amateur, it was announced Thursday as promotion of the new event kicked off in New York. The trophy is a fairly traditional looking silver bowl with the ANWA logo on the side along with all of the flowers synonymous with the Fruitland’s Nursery and Augusta National. 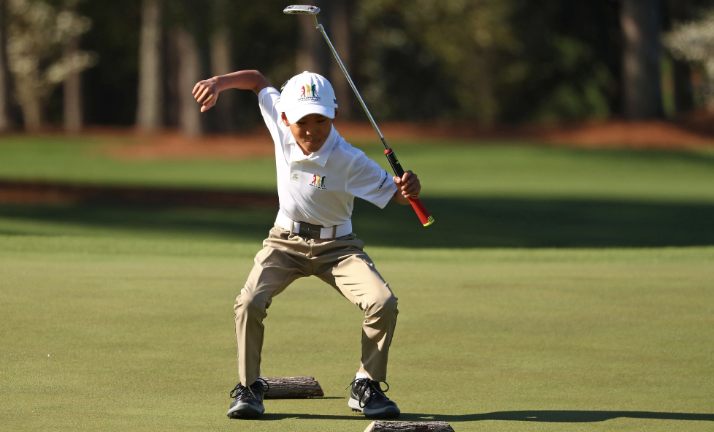 Drive, Chip And Putt Wrap: Golf Needs More Drive, Chip And Putt! Another year, another beautiful Drive, Chip and Putt National Finals at Augusta National. The names are different, but the stories, skill and class has been a consistent trait of all five years. We learned once again that golf can be cool when played with nice manners, amazing etiquette and a little gentility. Sure it helps that they're amazing kids who are way better at golf than they know. But those who say new and younger audiences are only attracted to boorishness, could learn a thing or two from the participants here, as Nick Faldo put it in an interview under the Big Oak with Steve Sands. Fine as this event is as a stand alone, it does seem odd that by now the professionals have not been tempted to have a big boys or girls Drive, Chip and Putt. Check out Steve DiMeglio’s survey of PGA Tour players asking who they think would win such a competition. It sure would be fun to watch, particularly with some clever chip and putting scenarios. The Drive, Chip and Putt would not be improved by seeing the pros playing that way. Instead, it’s the pros who could learn a thing or two from the joys of this event and in showcasing their talents in ways beyond 72-holes of stroke play. Final results here from Golfweek. A Jimmy Roberts narrated highlight package. Jeff Babineau with a roundup of highlights for DriveChipAndPutt.com. An image gallery from another beautiful day. The 7-9 Girls winner Ella June Hannant took Low Cuteness honors. 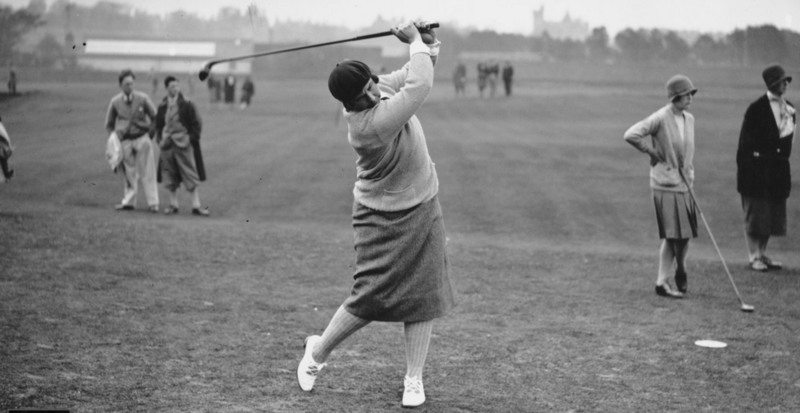 Her interview with Charlie Rymer is very special (thanks reader Z for sending), including a mention of her instructor, former PGA Tour player Clarence Rose.